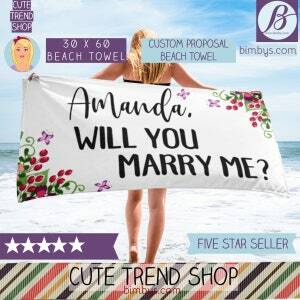 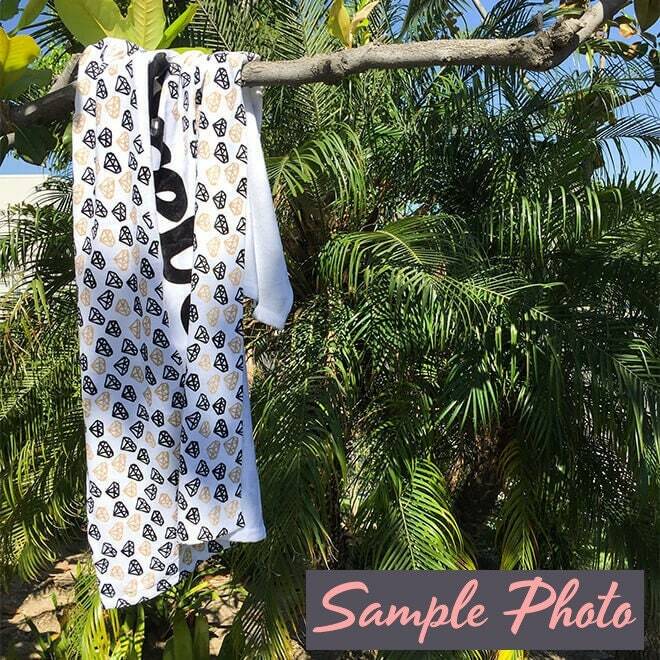 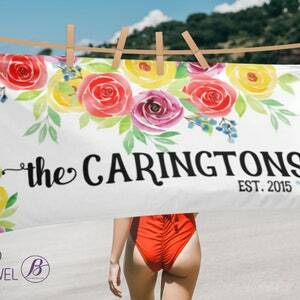 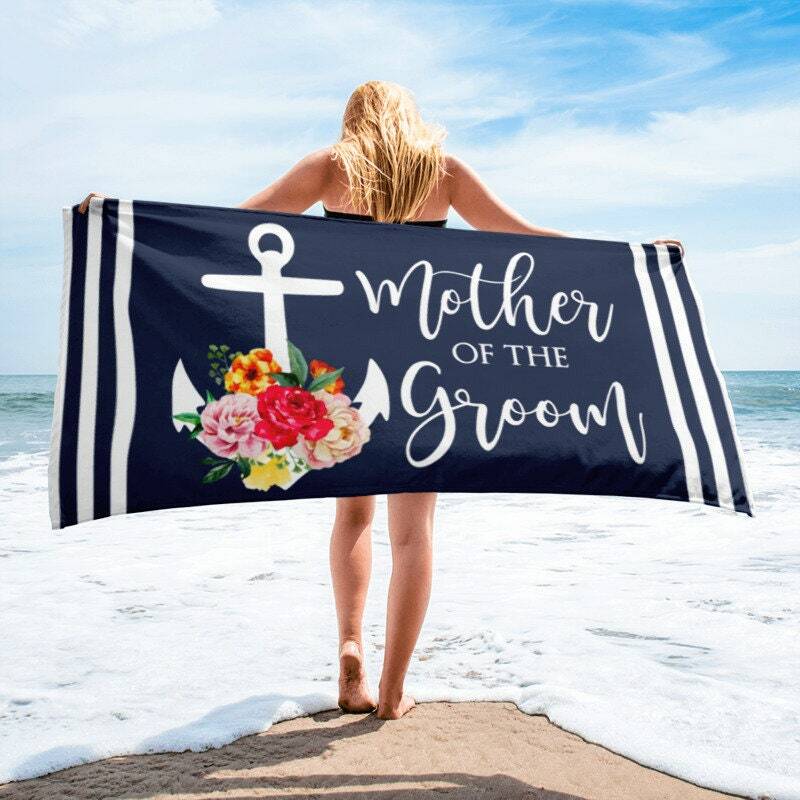 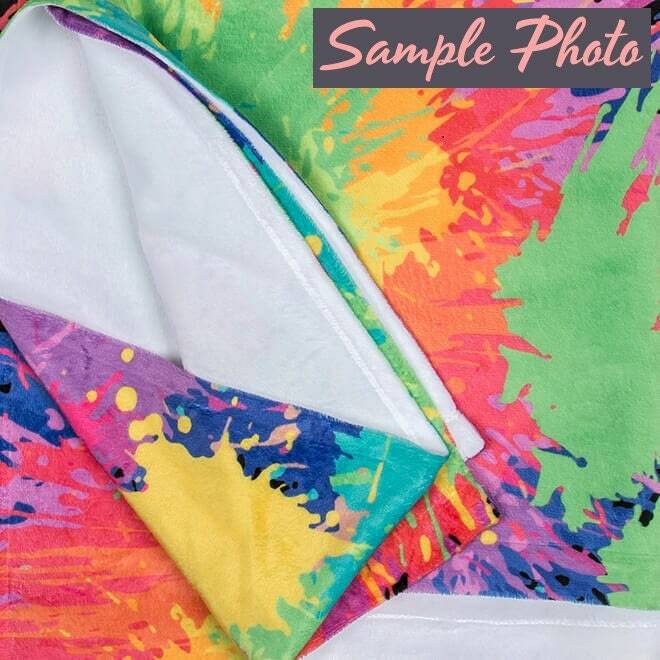 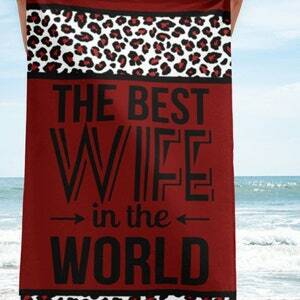 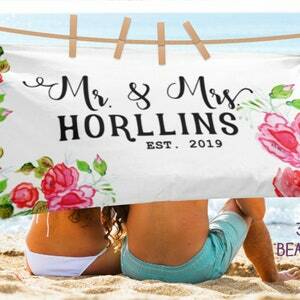 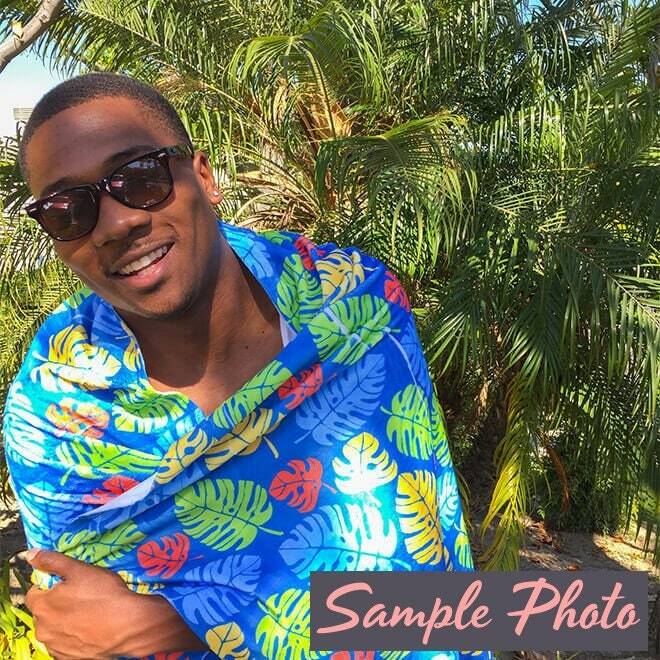 Celebrate bachelorette and wedding party with our beautiful beach towels. 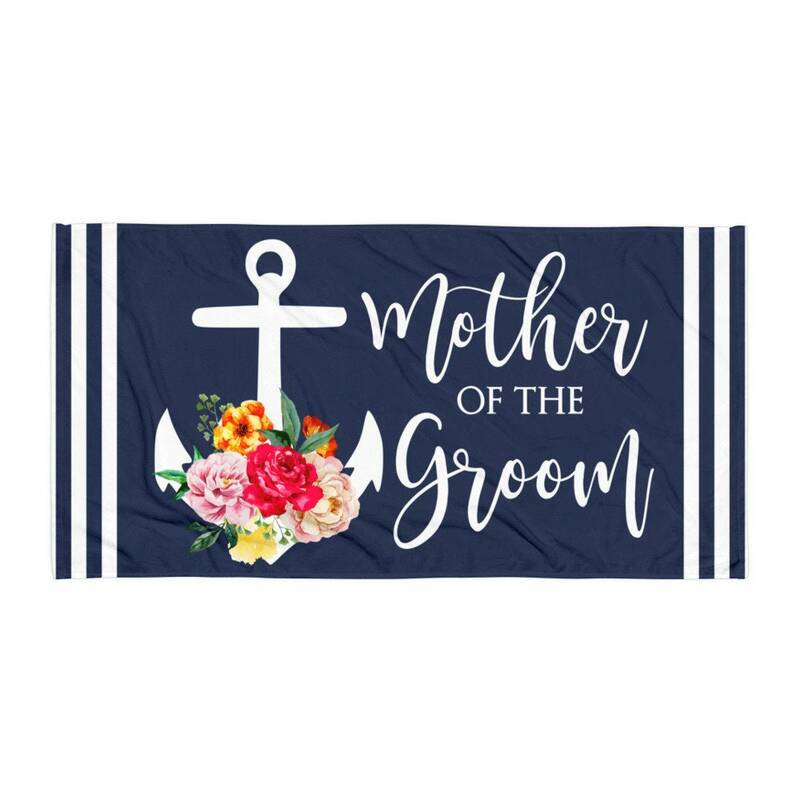 Design features and elegant anchor with flowers and mother of the bride quote in a navy background and white stripe trim. 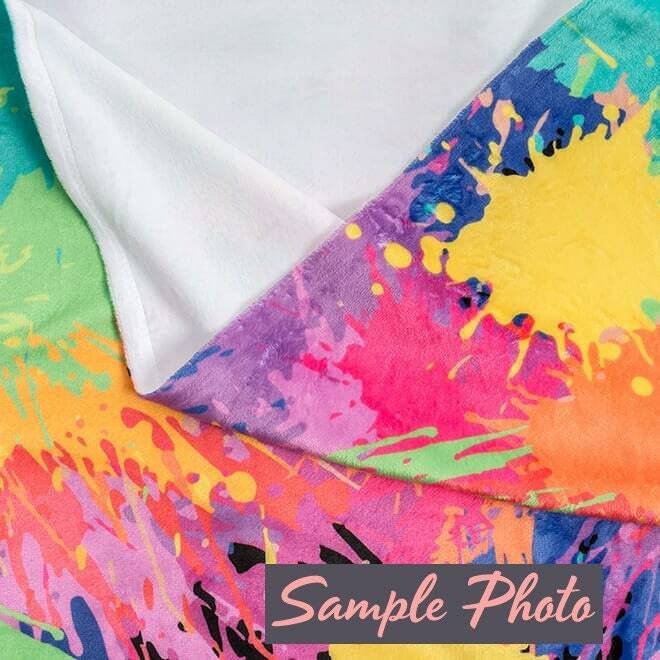 • Back side is white. 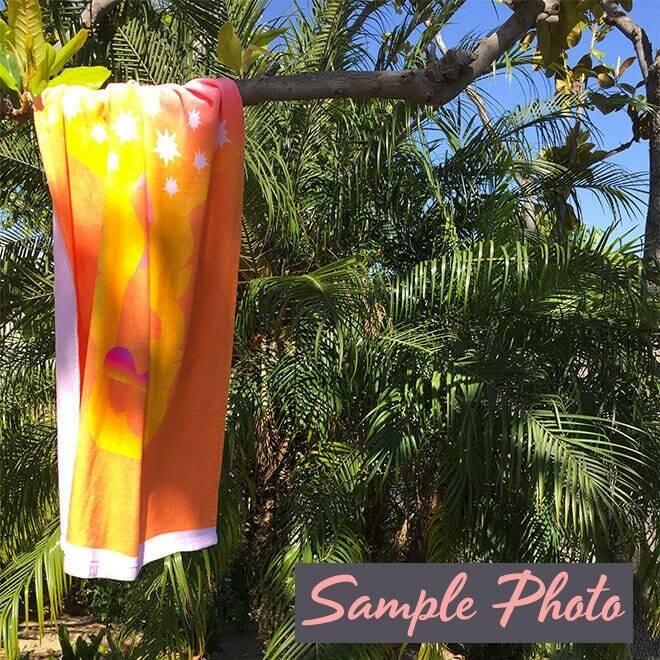 • The non-printed side is made of terry fabric, making the towel more water-absorbent.